Today, karate is a martial art known and respected worldwide as an effective combative art. Its birthplace, the small islands of Okinawa in Japan, was once known as Ryukyu, an independent kingdom. Shorin Ryu is one of Okinawa’s three main streams of Karate (Goju Ryu, Uechi Ryu, Shorin Ryu). 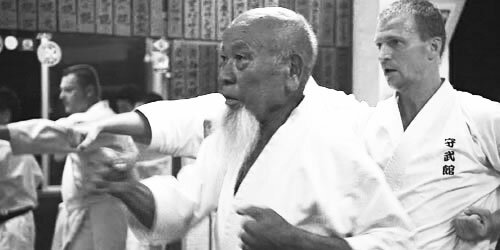 In 1933, Master Choshin Chibana named Shorin Ryu. 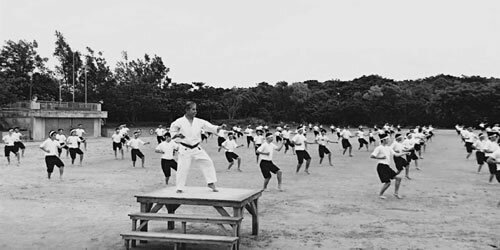 In 1948, they organized Okinawa Shorin Ryu Karate-do Association. They took over the Shuri-te stream. There is a Dojo not only in Okinawa but also overseas. copyright (c) 2008-2009 Okinawa Eizou Center Co.Ltd. All Rights Reserved.